June Gloom gives way to blazing SoCal sunshine until at least September. Where should you turn for relief? Clearly LA’s ice cream parlors are the place to be. Learn about 20 of our best options, complete with the best flavors at each location, listed by neighborhood. Chef Sylvia Yoo and brother Paul run this Los Feliz village shop with a patio, pin-board menu, and elemental mural with clouds and flames. Their signature churro ice cream sandwich features a pair of dough discs lined with cinnamon sugar. 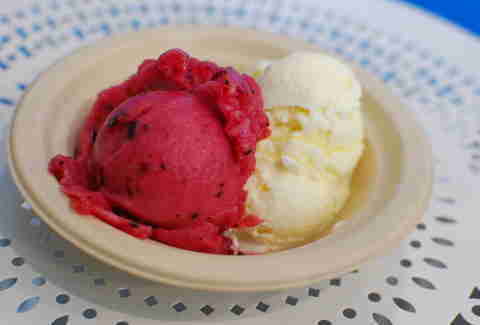 Fill with a rotating selection of ice cream flavors, which could include bright matcha green tea or brown butter cookie. Christian Anthony Fosselman launched a family ice cream business in Iowa back in 1919, which was later carried on by grandchildren Chris and John at this old-school Alhambra soda fountain, where they’re serving 48 ice cream flavors that fuel big banana splits, milkshakes, and malts. Since Fosselman’s is located in the heart of the San Gabriel Valley, it's also gone and added Asian flavors like lychee to its rotation. 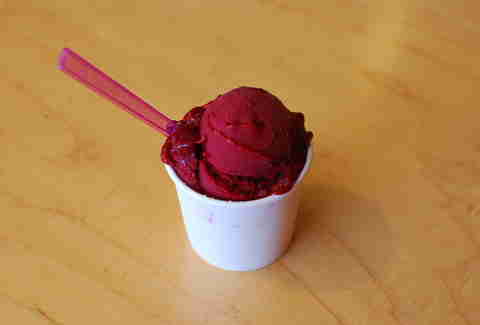 Leo Bulgarini and Elizabeth Foldi started with a Pasadena cart and climbed up the San Gabriel foothills to... scoop gelato in a strip mall? You’ll be thankful they did: bold gelato flavors change seasonally, but include inventive stuff like goat cheese, cocoa nibs, and if you’re lucky, sweet Sicilian pistachios that the couple brings back from Italy. Bonus: every Saturday night in summer, they also show a foreign film and serve a pasta dinner. Bingo bango. Little India, a mile-long stretch of Pioneer Blvd, has a wealth of restaurants and snack shops, but the best place to cool down? 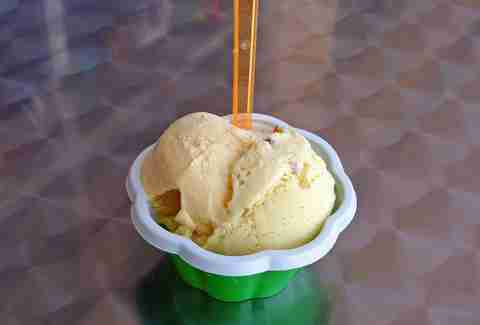 Smita Salgaonkar’s colorful ice cream shop. 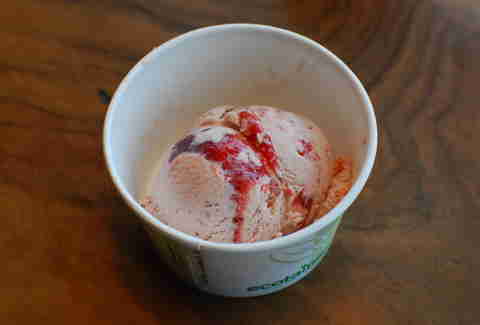 Saffron Spot scoops 16 flavors per day, many involving fresh fruit or the namesake spice, saffron. Get the Rajbhog -- yeah, it sounds like the name of a dude with a beard from The Lord of the Rings, but it’s actually a delicious pink mix of saffron, almonds, pistachios, cashews, and cardamom. Candace Nelson, who helped to turn cupcakes into a national craze, opened this vision in white next to the original Sprinkles (and her cupcake ATM). 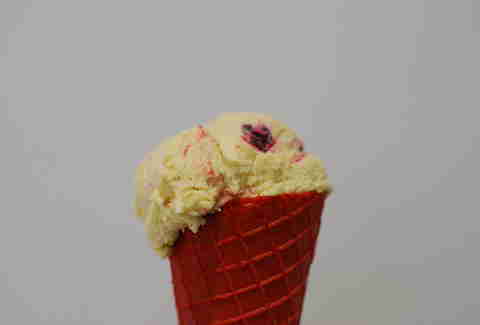 Red dots indicate a flavor’s in stock, which could factor into shakes and sandwiches made with either cookies or cupcake caps; when in season, Madagascar vanilla and Morello cherries simmered in California pinot noir make for a particularly bold/wine-y take on what’s essentially an upscale Cherry Garcia. 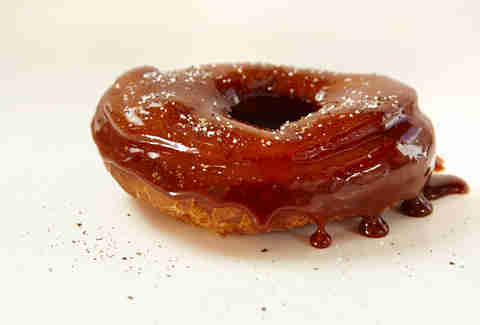 This seasonal ingredient-heavy, Asian-inflected dessert shop is ultra-playful without being corny. The Water Grill and Lukshon alum chef changes his blackboard menu with the seasons and as inspiration strikes, but hopefully you’ll find black sesame, pandan, or kecap manis (syrupy Indonesian soy sauce). OG flavor wizard Tai Kim and his franchisees could easily claim the ice cream crown in four different neighborhoods: Chinatown, East Hollywood, Highland Park, and Palms. Other locations have more flavors, but this location in Far East Plaza has a tricked-out coffee cart from barista/chef/bean scientist Jack Benchakul, who creates Asian-influenced signature drinks and contributes to the success of Scoops’ cream-and-coffee affogatos. 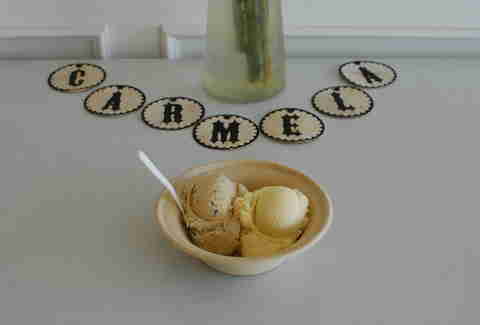 Santa Barbara-based McConnell’s is the only ice cream company that also owns a dairy (#bossmode), which allows it to pasteurize its own grass-fed cow's milk and cream from the Central Coast, to give its cold goodness a unique, smooth texture. It mixes cold-brew coffee, house-made jams, caramels, crumbles, and seasonal fruits into its flavors -- and at Grand Central Market (its only location outside of SB), it also serves some serious sundaes. Native Iranians Mashti Shirvani and brother Mehdi play with the unusual ingredients of their youth in the back corner of a well-worn Hollywood strip mall, which means you’ll wait in a quick-moving line to try ice creams done up with aromatic saffron, orange blossom, rosewater, cardamom, sahlab, and dried orchid root. 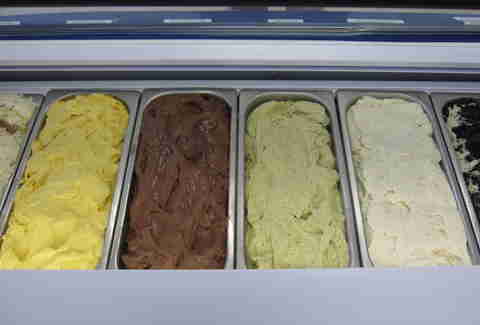 They also sell flavors like chocolate chip, but c'mon: you want saffron ice cream, or you wouldn’t be here. This tiny stall is a boon to people spilling out of The Boiling Crab in Koreatown’s Brown Derby Plaza. 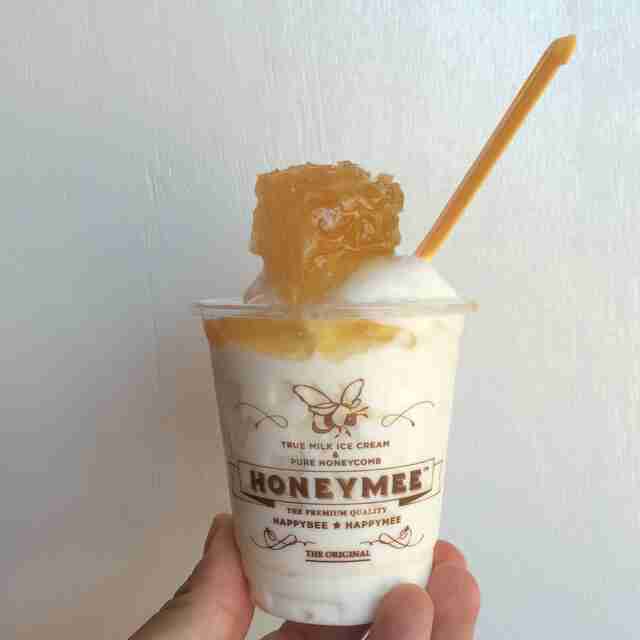 Ultra-creamy “true milk” ice cream is a great match for either honeycomb, which has a waxy finish, or honey swirl. The owners, who are quickly expanding throughout SoCal, also serve ice cream in a sweet bun with granola and a honey drizzle. The beloved Portland company’s Larchmont location follows the pattern that made the brand so beloved in its hometown: use premium ingredients and straddle the line between seasonal and experimental. For instance, it teamed with leading chefs on street food flavors for this summer, which include a Korean Fluffernutter collaboration with Roy Choi and a green corn tamale tag team with Border Grill’s Susan Feniger & Mary Sue Milliken. Its core flavors are more basic, clearly connected to California, and go great in a house-made waffle cone (sorta like everything in life). Surfers, celebrities, and people of leisure slide into sunken seats at this Italian chain’s Malibu outpost for high-class, killer gelato. The company is big on using single origin ingredients, including Colombian Teyuna chocolate, five-corn Battifollo biscuits, and Himalayan pink salt. 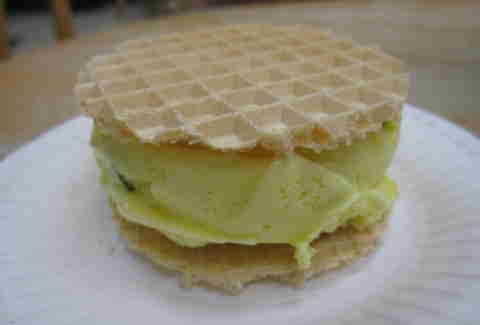 Still, its gelato’s clearest representation is Crema di Grom, a rich, luscious flavor that you will struggle to pronounce. Neveux creates more than 30 flavors using deluxe Straus Family Creamery ice cream, but scoop only nine per day, meaning you’re gonna want to come back. Like, a lot. 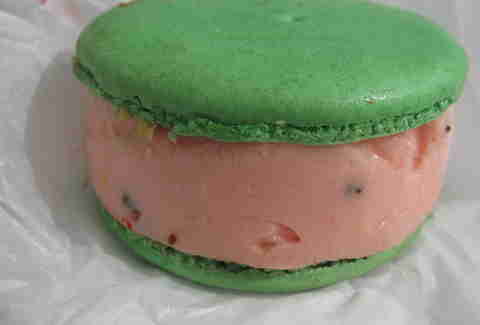 Many offerings are seasonal, including pepper peach and rhubarb mint. Tangy crème fraiche is a pure joy, especially when sandwiched in a whoopie pie, which harkens back to Neveux’s owner’s roots in New England. Amy Knoll Fraser and pastry chef Mariah Swan finally fulfilled their longtime dream of opening a colorful showcase for ice cream, coffee, and donuts next to their sister restaurant BLD, and thankfully, ICDC gives you two ways to get all three items into your stomach AT THE SAME TIME. First, there’s the namesake ICDC -- a salted caramel donut topped with vanilla ice cream and a shot of Vittoria espresso, all served in a cup -- and then there’s the Coffee & Doughnuts ice cream flavor. You don’t have to get both, buuuuuuut you also kinda do. Eater LA editor Matthew Kang actually practices what he preaches as the owner of this strip mall outpost, which doles out rotating flavors like blackberry lavender and apple walnut Gorgonzola that come and go. Why does Scoops get ANOTHER nod on this list though? 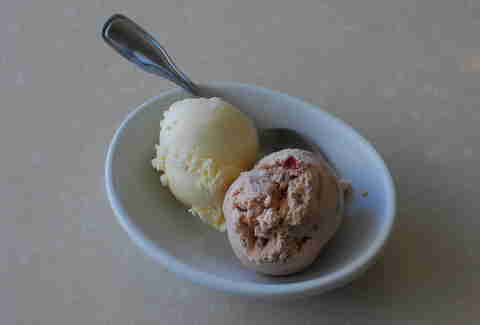 Its one constant: Brown Brown Bread, an exclusive Palms flavor that combines sugared Grape-Nuts with caramel ice cream. Believe. This Pasadena creamery’s blackboard menu might tout strawberry buttermilk, or possibly fresh mint with cacao nibs, but the essential flavor is salted caramel, which is LA’s definitive version. 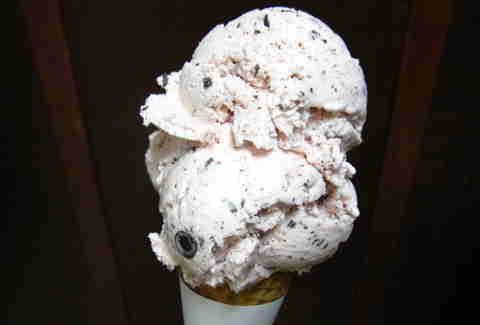 Scoops are available in cups with curved waffle chips that sort of resemble the Iron Throne from Game of Thrones. 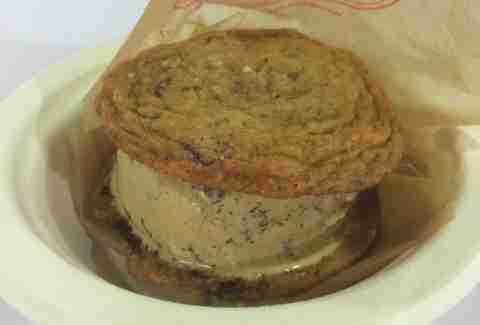 Also: it sells shortbread cookie ice cream sandwiches, which are terrific. Brooke Williamson and Nick Roberts were smart to bring Bakelab pastry chef Kristin Feuer into the fold when they launched their beachside, multi-concept compound in 2014. She handles desserts at Dockside restaurant, Grain whiskey bar, and King Beach café, but she really shines in the Small Batch Ice Cream parlor, where she fills cold cases with playful ice cream flavors, which fill cones, cups, cookie sandwiches, and, yessssss, artisan Choco Tacos. This small-batch, market-driven ice cream shop from pastry chef Shiho Yoshikawa, Zoe Nathan, and Josh Loeb started at Brentwood Country Mart and now has locations in Santa Monica and Mid-City, with more branches on the way. Each shop’s blackboard menu changes daily -- you might find lemon chamomile, sweet corn, or ultra-rare mulberry, depending on the season. 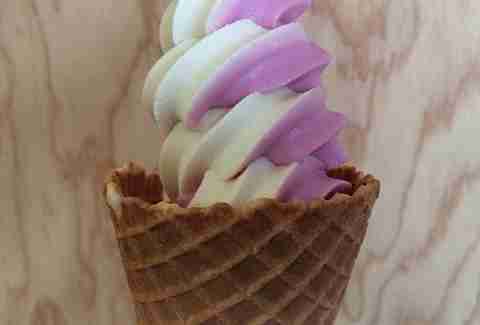 But only the Santa Monica location near Santa Monica High School has soft serve, typically available in two flavors: one cream-based, and the other swirlable with something citrusy. Time it right and you may score a peanut butter with Kyoho grape, which sounds weird, and it is -- but deliciously so. Lucy Danovic recently expanded from Mid-City to Silver Lake and increased focus on the sweet side of her operation. Baked goods like cookies and blue velvet cake are popular, but ice cream is clearly the star of the show, whether it’s in a sundae, shake, cake, cone, or macaron sandwich; her flavors draw on a variety of influences, including classic Americana like cookies ‘n' cream and less classic, Asian-influenced jasmine tea. Mother Moo churns ice cream in back using Straus Family Creamery organic dairy, and its bins have been known to feature Forbidden Fruit Orchards blueberries, Bliss avocados, and Indonesian Korintje cinnamon; its silky Triple Milk combines buttermilk, whole milk, and skim milk, which is great in a house-made cone. Joshua Lurie is the LA-based founder of Food GPS, a website that showcases the best-tasting food and drink in California. Follow him on Instagram and Twitter.